Great meals and great wines have something in common — they’re made with love, and meant to be shared. 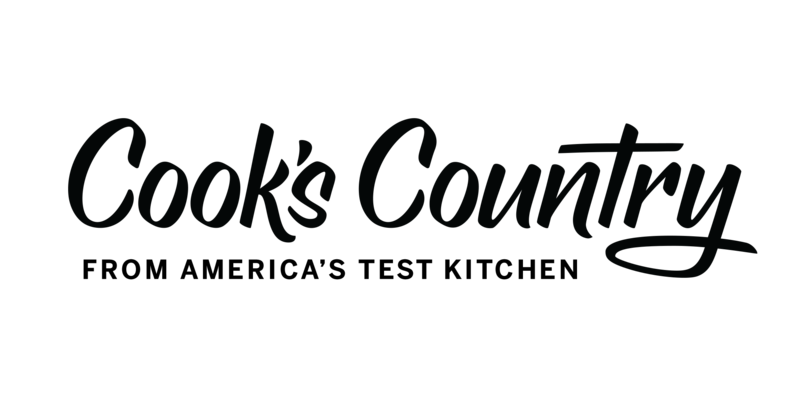 Nakedwines.com and Cook's Country from America's Test Kitchen have partnered to bring you the best recipes from 11 Cook's Country seasons. 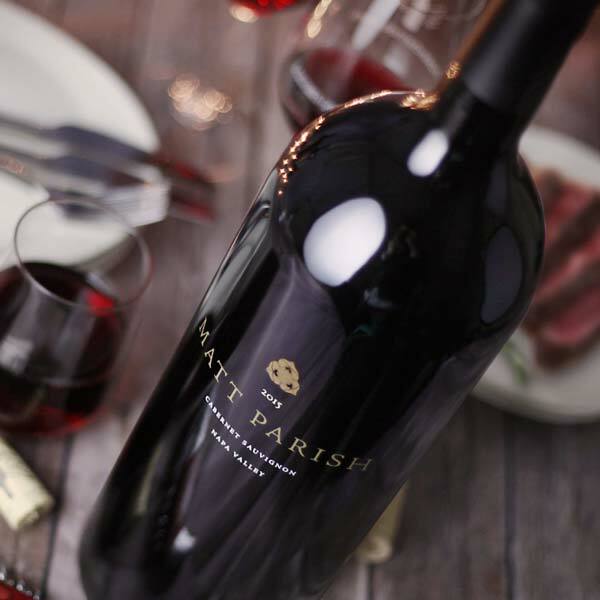 Now you can get special access to viewers' all-time favorite meals, like Stuffed Mushrooms with Bacon and Blue Cheese, Texas Thick-Cut Pork Chops and classics like Spice-Crusted Steak — each paired with an exclusive independent wine for that perfect finishing touch. What's better than a home cooked meal? Homegrown wine to go with it! 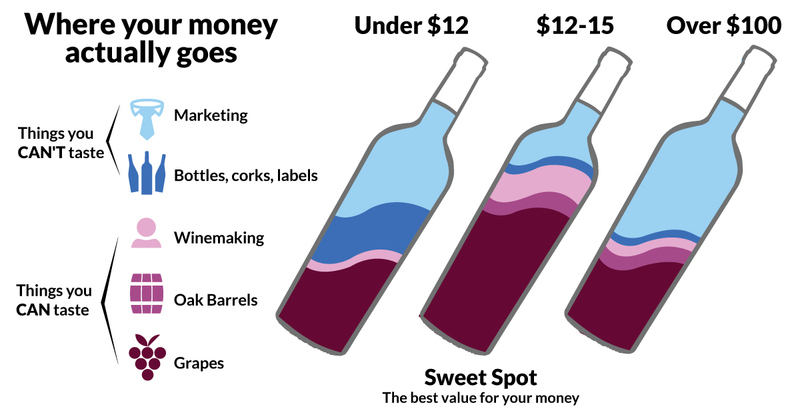 Get $100 off your first case from nakedwines.com! Already a customer? Share this deal with a friend! These fluted, fried pastries should be crispy on the outside and soft on the inside, much like a cream puff. We piped dough logs onto a rimmed baking sheet and slipped them into the frying oil in batches to minimize the splashing. Piping while the dough was still warm helped us get the stiff dough through the small opening in our piping bag without a fight! Common wisdom says churro making is better left to churrerías. We view common wisdom as a challenge – and treated ourselves to a thirst-quenching glass of classic Pinot Grigio for our successes. These fluted, fried pastries should be crispy on the outside and soft on the inside, much like a cream puff. Many recipes called for piping the dough directly into a vat of hot oil, but we found this process to be not only hectic but also dangerous-splashing oil made a mess of the stovetop and threatened to burn our hands and forearms). Instead. we piped dough logs onto a rimmed baking sheet and slipped them into the frying oil in batches to minimize the splashing. Piping while the dough was still warm helped us get the stiff dough through the small opening in our piping bag without a fight. We used a closed star #8 pastry tip, 5/8 inch in diameter, to create deeply grooved ridges in the churros. However, you can use any large, closed star tip of similar diameter, though your yield may vary slightly. It’s important to mix the dough for 1 minute in step 2 before adding the eggs to keep them from scrambling. FOR THE DOUGH: Line 1 rimmed baking sheet with parchment paper and spray with vegetable oil spray. Combine water, butter, sugar, vanilla, and salt in large saucepan and bring to boil over medium-high heat. Remove from heat; add flour all at once and stir with rubber spatula until well combined, with no streaks of flour remaining. Transfer dough to bowl of stand mixer. Fit mixer with paddle and mix on low speed until cooled slightly, about 1 minute. Add eggs, increase speed to medium, and beat until fully incorporated, about 1 minute. Transfer warm dough to piping bag fitted with 5/8-inch closed star pastry tip. Pipe 18 (6-inch) lengths of dough onto prepared sheet, using scissors to snip dough at tip. Refrigerate, uncovered, for at least 15 minutes or up to 1 hour. Adjust oven rack to middle position and heat oven to 200 degrees. Set wire rack in second rimmed baking sheet and place in oven. Line large plate with triple layer of paper towels. Add oil to Dutch oven until it measures about 1 1/2 inches deep and heat over medium-high heat to 375 degrees. Gently drop 6 churros into hot oil and fry until dark golden brown on all sides, about 6 minutes, turning frequently for even cooking. Adjust burner, if necessary, to maintain oil temperature between 350 and 375 degrees. Transfer churros to paper towel–lined plate for 30 seconds to drain off excess oil, then transfer to wire rack in oven. Return oil to 375 degrees and repeat with remaining dough in 2 more batches. FOR THE CHOCOLATE SAUCE: Microwave cream, chocolate chips, and salt in bowl at 50 percent power, stirring occasionally, until melted, about 2 minutes. Stir in vanilla until smooth. FOR THE COATING: Combine sugar and cinnamon in shallow dish. Roll churros in cinnamon sugar, tapping gently to remove excess. Transfer churros to platter and serve warm with chocolate sauce. Have a favorite home cooked meal? There's a wine for that. We'll reveal new Cook's Country recipes every month — carefully paired with a special exclusive wine. Can't wait? Check out this case of chef-friendly wines. Get to know the experts that introduce millions of home cooks to classic American dishes and everyday favorites. Bridget Lancaster is the host of America’s Test Kitchen and Cook’s Country from America’s Test Kitchen and is an executive editor for America’s Test Kitchen’s cookbook division. She began working as a test cook for Cook’s Illustrated in 1998 and is an original cast member of both television shows. Bridget’s earlier career led her to cook in restaurant kitchens in the South and Northeast, concentrating on pastry. 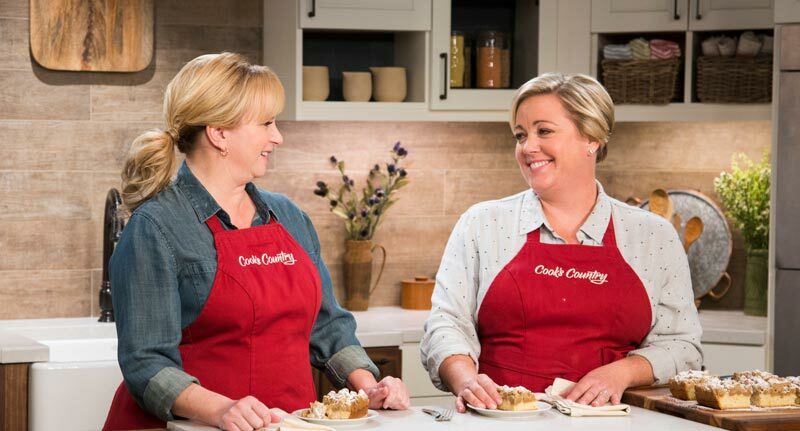 Julia Collin Davison is the host of America’s Test Kitchen and Cook’s Country from America’s Test Kitchen and is an executive editor for America’s Test Kitchen’s cookbook division. She began working as a test cook for Cook’s Illustrated in 1999 and is an original cast member of both television shows. Julia holds an A.O.S. from the Culinary Institute of America and a B.A. in Psychology and Philosophy from SUNY Albany and worked in Albany, the Berkshires, San Francisco, and Napa Valley at several restaurants, catering companies, schools, and wineries.